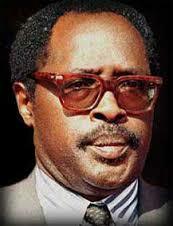 What to make of M23 defeat to FARDC? Kambale Musavuli, spokesperson of Friends of the Congo, Herman Cohen former US ambassador, and Richard Dowden, Director of the Royal African Society speak on the micro of Mike Hanna of Aljazeera. In the video clip, Herman Cohen, former US Ambassador and Assistant Secretary of State for African Affairs explains the American opposition to strong sanctions for Rwanda and Uganda for their role in the destabilization of the Democratic Republic of the Congo, apparently because their economic performance has been so good. In other terms, they can be rewarded and left off the hook for their crimes. This tells to any victim of these leaders in the Great Lakes region who seeks justice that they will have to do it against the will of the Americans. Those that the looting and plundering of Congolese resources and the accompanying crimes have benefited in Washington and other western concerned capitals don’t want any justice which would investigate their agents presidents Joweri Museveni of Uganda and Paul Kagame of Rwanda. On the other hand, Richard Dowden highlights the make up of M23. 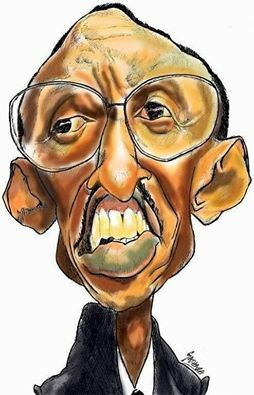 It consists of Tutsis with close connections with the Tutsi leadership in Rwanda. They are natural allies. They are not entirely accepted by the people of Eastern Congo. They are like an alien group in some ways. Such assessment from that speaker about M23 and the Tutsis it seemed to fight for is understandable in the sense that it is difficult for a community not to see as aliens a group of people who commit war crimes, crimes against humanity and crimes of genocide nature if brought in front of a court against their members. 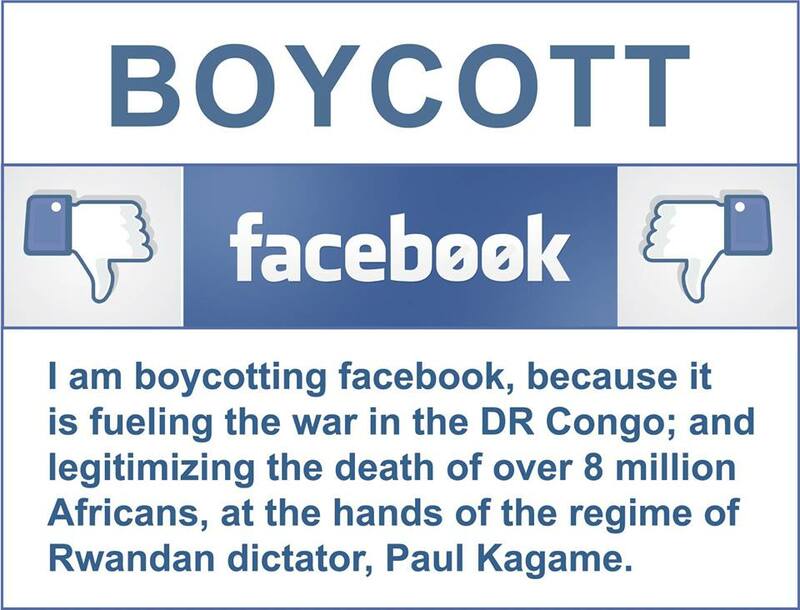 Boycott of Facebook starts on October 28th for three days or more (your choice). While Rwanda is waging war in Eastern Congo, on Saturday 26th, 2013 representatives from some of the world’s largest information and communications technology companies were heading to Kigali for the Transform Africa ICT Summit. There are criminals who never face justice, not because there is not enough evidence to get them sentenced, but only because the judiciary system supposed to investigate them is managed by criminal interests. It was on April 6th, 1994 at 8.25 in the evening. His family would never see him again alive. Even dead, his body could not be brought together in all its parts. This is what the Ugandan president Joweri Museveni says of child soldiers in 1985; he was still in the bush at the time. If you are African, have you been part of that tradition of learning to fight with arrows and spears from the age of four? Your opinion please. Since the arrival of Joweri Museveni in the political arena of the Great Lakes, this is around 1981 when he is defeated democratically and decides to enter in the rebellion, there has been a proliferation of child soldiers in the region. 1994 in Rwanda and 1997 in the Democratic Republic of the Congo, when the rebels claimed victory, there were each time cohorts of child soldiers among the jubilant victors. Do we ever take time to reflect on the fact that those children had a father, a mother, and other relatives? Or have they always been child soldiers? What happened to their families, if they had them? What could be the responsibilities of their military leaders in the fate of their families? Think about it and imagine the cruelty accompanying those claiming that they are proud of teaching warfare to children instead of letting them be at school and with their parents.